The Catalan media will soon run out of strikers to link with Barcelona. Mundo Deportivo last week had a feature where they named more than 30 possible targets, and still new ones are being found. On the front cover of Monday’s Mundo Deportivo, French striker Andre Pierre Gignac is named as the latest big target. 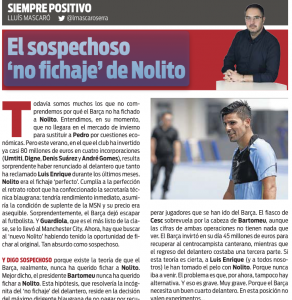 The problem is, explain the other Catalan newspaper Sport, that Barcelona are looking for a ‘new Nolito’. 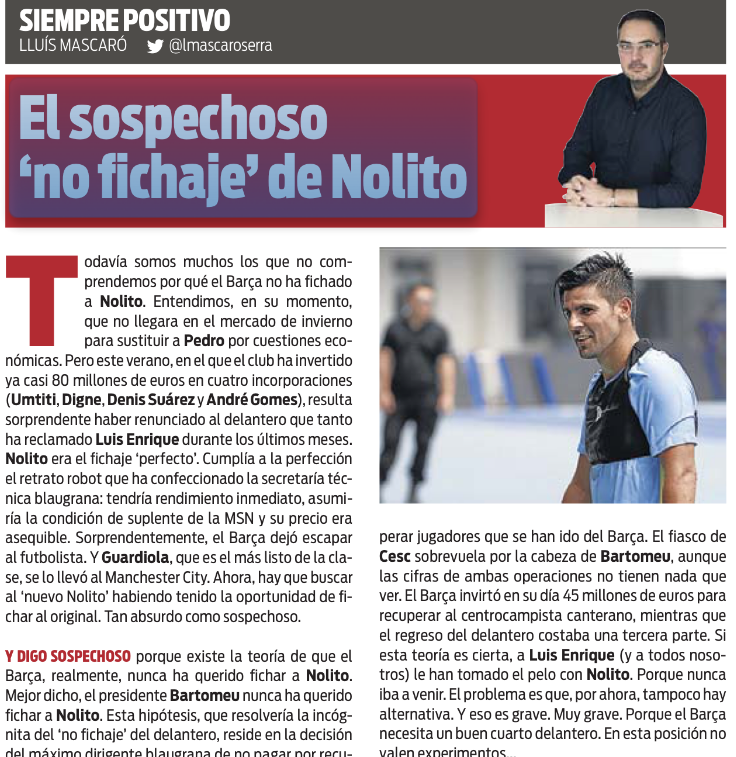 Barcelona had wanted to sign Nolito during the winter transfer window, but were faced with money difficulties. That hasn’t been the same situation this summer, and Sport say it’s ‘absurd’ that Barcelona stood back and allowed the player to join Manchester City. Pep Guardiola is called the ‘smartest of the class’ and presumably Barcelona are dunces for passing up the value, and obvious, transfer opportunity. 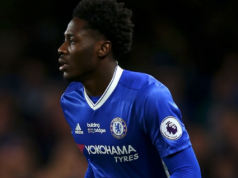 Sport appear to blame the club’s president Josep Maria Bartomeu, who they say has an annoyance about having to re-sign players who were formerly at the club.